Early Black & White Etching of La Rochelle by. This is a super black and white etching showing the small port of La Rochelle with various boats moored to the jetty. William Alison Martin ~ Signed. William Alison Martin Exhibited from 1901 until 1933. Ve ry s ex y pr in t.
Art Deco represented many things for many people. It was the style of the flapper girl and the factory, the luxury ocean liner and the skyscraper, the fantasy world of Hollywood and the real world of the Harlem Renaissance. 3 Vintage Foil Pictures By M Fennell 1970s Tiger and cubs. In lovely vintage condition. 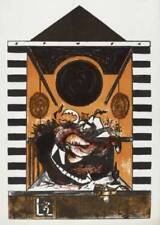 New listingDavid Hockney An Etching and a Lithograph for Edition Alecto 1973. Ed. 2000. An Etching and a Lithograph for Edition Alecto 1973. David Hockney (b.1937) (after). Pablo Picasso Line Drawing "The Face Of Peace 1V"
He was able to create beautiful art using a single unbroken line. There has been no other artist prior to Picasso who had such an impact on the art world. I do my best to describe all faults but am not infallible so. 2 unframed Cat Prints by James Lacey. 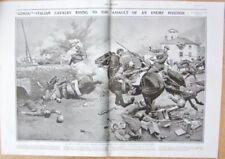 In colour and in very good condition. 2 x Unframed Coloured Cat Prints by James Lacey One is titled 'Shorthair Bicolour' dated 1977 and the other is 'Longhair Bicolour - Little Potty' dated 1976. Both Printed by Hamlet Fine Arts? No damage to either print. Both are 7" (17.5cm) w x 8" (20 cm) high Dispatched with Royal Mail 2nd Class. 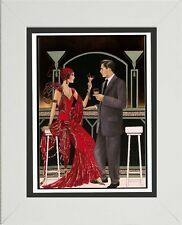 Art Deco Style Home Decor Unframed Art Print Picture Size 40cm x 30cm 16" x 12"
Printed on 280g Satin Pearl Premium Photo Paper. An early 20th Century etching on paper, laid down onto card, 27 x 37 cm overall. Inscribed and signed in pencil. Printed on 280g Satin Pearl Premium Photo Paper. This setting gives the image real "Wow Factor". (See sample). 'Frightened Oyster Catchers'. Original Vernon Ward Art Print. Card Type: Archival Matt. Card Weight: 230gsm. Why Buy From Us?. Pablo Picasso ( 1881-1973). Size approx. 28 cm x 21 cm. Botanical Illustrations (Trees of Rhodesia) taken from the book Original A4 pages from the book. No photocopies or digital prints available. TREES OF CENTRAL AFRICA. An early linocut by Robert Tavener (1920 - 2004). Titled 'Sussex Weald' in pencil in the lower margin and numbered 18 from an edition of 75. In very good condition. Very slight waving of paper at the edges and a small amount of foxing in the bottom left margin. Bill Jacklin ‘vibrato a’ Limited Edition Signed Print 1971 10/15 Actual print is just under 7x7” More BJ prints available Please note see brown markings on RHS in pics Dispatched with Royal Mail 2nd Class class signed for. X 17.5 cms. (9¾ x 7 ins.). within a strong plate mark and impression. The label verso ascribes the etching 'Scene Fishing Boats' Original Etching by AJ F Bond - this image is also found entitled 'Boats in Harbour'. Signed at bottom right by Nicola. An original illustration by Arthur Rackham, 'On the Beach' plate 21 from his 'Book of Pictures', taken from the first edition published in 1913. A lovely scene depicting four Edwardian children on the seashore. This original engraving has been printed in black ink, with excellent shading and detail. The image printed on a paper sheet size 10 cms. (4 x 5 ins.). 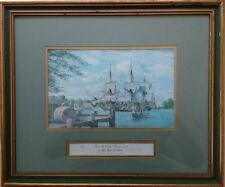 Richard Stone Reeves Signed Grey Dawn Chateau De Mesnil. Dispatched with Royal Mail 2nd Class. John Hall Thorpe. I do my best to describe all faults but am not infallible so. Zoe Ableman. limited edition studio etching. An etching which is bright and unfaded printed in coloured inks. (6½ x 5 ins) on a wove paper sheet size 28 cms. (11 x 8½ ins.). Signed in pencil by the artist in the lower margin. Original Vernon Ward Art Print. 'Stream From The Hills'. It is signed in the corner It is by Walter PREISSER. Plain back ideal for framing. HILLSBOROUGH STADIUM, often referred to as Hillsborough, is a 39,732-capacity association football stadium located in Owlerton, a north-western suburb of Sheffield, England. 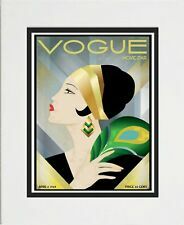 Vogue Art Deco Style 1920s 1930s Home Decor Art Print Picture 13. 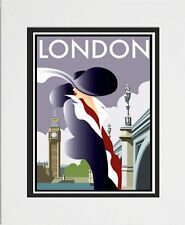 Dispatched with Royal Mail 2nd Class Measures approx 18 x 23 cms incl Mount. New and unused condition. An original signed etching by listed artist Elizabeth F. T. Frere. Signed and dated in the margin lower right 'Elizabeth F T Frere. Elizabeth Frere was a painter and printmaker from London. Printed on thick wove paper and in excellent condition, no sign of previous framing. Framed 1900's chromolithograph, of trout "The Bulltrout" (Salmo eriox) Striking!